^ 1.0 1.1 1.2 1.3 A. Du Toit, H.B. Giliomee. Afrikaner political thought: analysis and documents. University of California Press. [7 June 2013]. ^ Resolutions Adopted by the General Assembly during its 21st Session (PDF). [11 August 2012]. （原始内容 (PDF)存档于2013年7月29日）. ^ Gallagher, Michael. The birth and death of apartheid. BBC News. [17 June 2002]. ^ South Africa – Overcoming Apartheid. African Studies Center of Michigan State University. [26 December 2013]. ^ 7.0 7.1 The economic legacy of apartheid. Centre de recherches pour le développement international. （原始内容存档于2010-04-26）. ^ 8.0 8.1 Lodge, Tom. Black Politics in South Africa Since 1945. New York: Longman. 1983. ^ De Klerk dismantles apartheid in South Africa. BBC News. 2 February 1990 [21 February 2009]. （原始内容存档于15 February 2009）. ^ R.W Lee. Introduction to Roman-Dutch Law. Oxford, Clarendon Press. [27 March 2011]. ^ Gish, Steven (2000). Alfred B. Xuma: African, American, South African. New York University Press. p. 8. ^ Hoiberg, Dale; Ramchandani, Indu (2000). Students' Britannica India, Volumes 1–5. Popular Prakashan. p. 142. ^ Allen, John (2005). Apartheid South Africa: An Insider's Overview of the Origin And Effects of Separate Development. iUniverse. p. xi. ^ 15.0 15.1 Leach, Graham (1986). South Africa: no easy path to peace. Routledge. p. 68. ^ Tankard, Keith (9 May 2004). Chapter 9 The Natives (Urban Areas) Act 互联网档案馆的存檔，存档日期2008-11-20.. Rhodes University. knowledge4africa.com. ^ Baroness Young – Minister of State, Foreign and Commonwealth Office (4 July 1986). South Africa House of Lords Debate vol 477 cc1159-250. Hansard. ^ Reddy, E.S. 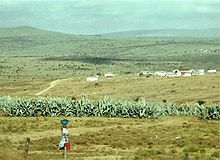 Indian passive resistance in South Africa, 1946-1948. sahistory.org.za. SA History. n.d. [Feb 23, 2015]. ^ Ambrosio, Thomas (2002). Ethnic identity groups and U.S. foreign policy. Greenwood Publishing Group. pp. 56–57. ^ The 1948 election and the National Party Victory. South African History Online. [13 July 2008]. （原始内容存档于16 August 2008）. ^ Alistair Boddy-Evans. 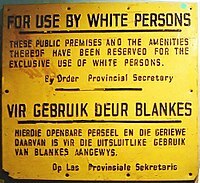 African History: Apartheid Legislation in South Africa, About.Com. Retrieved 5 June 2007. ^ Boddy-Evans, Alistar. Population Registration Act No 30 of 1950. About.com. ^ Ungar, Sanford (1989). Africa: the people and politics of an emerging continent. Simon & Schuster. p. 224. ^ Goldin, Ian (1987). Making race: the politics and economics of coloured identity in South Africa. Longman. p. xxvi. ^ Boddy-Evans, Alistar. Group Areas Act No 41 of 1950. About.com. ^ Besteman, Catherine Lowe (2008). Transforming Cape Town. University of California Press. p. 6. ^ Boddy-Evans, Alistar. Apartheid Legislation in South Africa. About.com. ^ Beck, Roger B. (2000). The history of South Africa. Greenwood Publishing Group. p. 128. ISBN 978-0-313-30730-0. ^ Byrnes, Rita M. South Africa: A Country Study. Washington: GPO for the Library of Congress. 1996. ^ The Afrikaans Medium Decree. About.com. [14 March 2007]. （原始内容存档于25 February 2007）. ^ Extracts from paper prepared by the Secretariat for the World Conference of the United Nations Decade for Women, Copenhagen, July 1980 (The anti-pass campaign). African National Congress. [14 July 2008]. （原始内容存档于22 June 2008）. ^ Van der Ross, R. E.; Marais, Johannes Stephanus (1986). The rise and decline of apartheid: a study of political movements among the Coloured people of South Africa, 1880–1985. Tafelberg. p. 255. ^ Davis, Dennis; Le Roux, Michelle (2009). Precedent & Possibility: The (Ab)use of Law in South Africa. Juta and Company Limited. p. 20. ISBN 978-1-77013-022-7. ^ Rielations. Penguin Books. p. 332. ^ Hatch, John Charles (1965). A history of post-war Africa. Praeger. p. 213. ^ Witz, Leslie (2003). Apartheid's festival: contesting South Africa's national pasts. Indiana University Press. p. 134. ^ Wilson, Monica Hunter; Thompson, Leonard Monteath (1969). The Oxford history of South Africa, Volume 2. Oxford University Press. p. 405. ^ "South Africa official yearbook." (1991). South African State Department of Information. p. 18. Current edition available here 互联网档案馆的存檔，存档日期2012-03-06. ^ Muller, C. F. J. (1975). Five hundred years: a history of South Africa. Academica. p. 430. ^ Mountain, Alan (2003). The first people of the Cape: a look at their history and the impact of colonialism on the Cape's indigenous people. New Africa Books. p. 72. ^ Du Pre, R H. (1994). Separate but Unequal – The 'Coloured' People of South Africa – A Political History. Jonathan Ball Publishers, Johannesburg. pp. 134–139. ^ Muller (1975), p. 508. ^ Booth, Douglas (1998). The race game: sport and politics in South Africa. Routledge. p. 89. ^ Thompson, Paul Singer (1990). Natalians first: separatism in South Africa, 1909–1961. Southern Book Publishers. p. 167. ^ Joyce, Peter (2007). The making of a nation: South Africa's road to freedom. Zebra. p. 118. ^ Suzman, Helen (1993). In no uncertain terms: a South African memoir. Knopf. p. 35. ^ Keppel-Jones, Arthur (1975). South Africa: a short history. Hutchinson. p. 132. ^ Lacour-Gayet, Robert (1977). A history of South Africa. Cassell. p. 311. ^ Evans, Ivan. Bureaucracy and Race: Native Administration in South Africa. Berkeley: U of California, 1997. N. pag. Print. ^ Amisi, Baruti, and Simphiwe Nojiyeza. Access to Decent Sanitation in South Africa: The Challenges of Eradicating the Bucket System Baruti Amisi n. pag. Feb. 2008. Web. ^ Those who had the money to travel or emigrate were not given full passports; instead, travel documents were issued. ^ Western, J. A divided city: Cape Town. Political Geography. June 2002, 21 (5): 711–716. doi:10.1016/S0962-6298(02)00016-1. ^ From the Western Areas to Soweto: forced removals. [7 January 2008]. （原始内容存档于17 January 2008）. ^ Toby Street Blues. Time. 21 February 1955. ^ Mandela, Nelson. p. 179. ^ Muller, Carol. Music of South Africa. Routledge. 2008. ^ On apartheid transport see Pirie, G.H. Travelling under apartheid. In D M Smith (ed. ), The Apartheid City and Beyond: Urbanisation and Social Change in South Africa. Routledge, London (1992), pp. 172–181. ^ Health Sector Strategic Framework 1999–2004 – Background 互联网档案馆的存檔，存档日期2006-09-23., Department of Health, 2004. Retrieved 8 November 2006. ^ Saaty, Thomas. The Conflict in South Africa. Springer Publishing. : 119. ^ Omond, Roger. The Apartheid Handbook 2nd. Harmondsworth, Middlesex, England: Penguin Books. 1986: 102–109. ISBN 0-14-022749-0. ^ Lemon, Anthony. Overcoming the Apartheid Legacy in Cape Town Schools. Review. 2009. ^ Cotula, Lorenzo. Gender and Law: Women's Rights in Agriculture. Rome: FAO. 2006: 46–52. ISBN 9789251055632. ^ Lapchick, Richard E.; Stephanie Urdang. Oppression and Resistance: The Struggle of Women in Southern Africa. Greenwood Press. 1982: 48, 52. ^ Bernstein, Hilda. For their Triumphs and for their Tears: Women in Apartheid South Africa. International Defence and Aid Fund for Southern Africa. 1985: 48. ^ Alegi, Peter. Laduma! Soccer, Politics and Society in South Africa. University of KwaZula-Natal Press. 2004: 59. ^ 73.0 73.1 Nixon, Rob. Apartheid on the Run: The South African Sports Boycott. Indiana University Press. 1992: 75, 77. ^ An appalling "science" 互联网档案馆的存檔，存档日期2012-04-23. ^ In South Africa, Chinese is the New Black. China Realtime Report. 19 June 2008. ^ Sze, Szeming. World War II Memoirs, 1941-1945 Digital. Pittsburgh: University of Pittsburgh. 2014: 42 [7 November 2014]. ^ Cros, Bernard. Why South Africa's Television is only Twenty Years Old: Debating Civilisation, 1958–1969. 1997. （原始内容存档于2009-08-25）. ^ African National Congress. Armed Struggle and Umkhonto / Morogoro. 1987 [28 December 2007]. （原始内容存档于16 December 2007）. ^ Harrison, David. The White Tribe of Africa. 1987. ^ Ampiah, Kweku (1997). The dynamics of Japan's relations with Africa: South Africa, Tanzania and Nigeria. CRC Press. p. 147. ^ International Day for the Elimination of Racial Discrimination, 21 March 互联网档案馆的存檔，存档日期2009-10-17. ^ United Nations and Apartheid – a chronology. （原始内容存档于2010-04-30）. ^ Lyal S. Sunga, The Emerging System of International Criminal Law: Developments in Codification and Implementation, Brill Publishers (1997), pp. 119–125. ^ Elliott, Kimberly Ann; Hufbauer, Gary Clyde; Oegg, Barbara. Sanctions. The Concise Encyclopedia of Economics 2nd. Library of Economics and Liberty. 2008. ISBN 978-0865976658. OCLC 237794267. ^ Summary of the Comprehensive Anti-Apartheid Act. United States Congress. [22 February 2009]. ^ 94.0 94.1 Geldenhuys, Deon (1990). Isolated states: a comparative analysis. Cambridge University Press. p. 274. ^ Royal African Society (1970). African affairs, Volumes 69–70. Oxford University Press. p. 178. ^ Hall, Richard (1970). "The Lusaka Manifesto." African Affairs. 69 (275): 178–179. ^ Rubin, Leslie; Weinstein, Brian (1977). Introduction to African politics: a continental approach. Praeger. p. 128. ^ Klotz, Audie (1999). Norms in International Relations: The Struggle Against Apartheid. Cornell University Press. p. 77. ^ Pfister, Roger. Apartheid South Africa and African States: From Pariah to Middle Power, 1962-1994. I.B.Tauris. 2005. ISBN 978-1-85043-625-6. ^ Beck, Roger B. The History of South Africa. Greenwood Publishing Group. 2000. ISBN 978-0-313-30730-0. ^ Ndlovu, Sifiso Mxolisi. The ANC's Diplomacy and International Relations. The Road to Democracy in South Africa: 1970-1980 2. Unisa Press. 2004. ISBN 978-1-86888-406-3. ^ International Labour Office (1991). Apartheid: Special Report of the Directed General on the Application of the Decoration Concerning the Policy of South Africa. International Labour Organization. p. 46. ^ Bangura, Abdul Karim (2004). Sweden vs apartheid: putting morality ahead of profit. Ashgate Publishing, Ltd. p. 104. ^ Grieg, Charlotte (2008). Cold Blooded Killings: Hits, Assassinations, and Near Misses That Shook the World. Booksales Inc Remainders. p. 43. ^ Oliver Tambo interviewed by The Times. ANC. 13 June 1988 [25 September 2012]. （原始内容存档于23 May 2008）. ^ ALEC's "Institutional Corruption", From Backing Apartheid to Assault on Clean Energy, Public Sector. Democracy Now! 11 December 2013. ^ Mark Phillips and Colin Coleman. Another Kind of War (PDF). Transformation. 1989. ^ US court allows apartheid claims. BBC News. 12 May 2008 [3 January 2011]. ^ Interview with Pik Botha. 20 May 1997. ^ Lisbon Conference of the African National Congress. Colonialism of a Special Type. March 1977 [28 December 2007]. （原始内容存档于14 July 2007）. ^ McGreal, Chris. Revealed: how Israel offered to sell South Africa nuclear weapons. The Guardian (UK). 24 May 2010 [24 May 2010]. （原始内容存档于25 May 2010）. ^ McGreal, Chris. The memos and minutes that confirm Israel's nuclear stockpile. The Guardian (UK). 24 May 2010 [24 May 2010]. （原始内容存档于25 May 2010）. ^ Kershner, Isabel. Israel Denies It Offered South Africa Warheads. The New York Times. 24 May 2010. ^ P.W. Botha felt Israel had betrayed him. The Jerusalem Post. 2 November 2006 [2 November 2006]. （原始内容存档于2013年7月6日）. ^ Ellis, Stephen; Sechaba (1992). Comrades against apartheid: the ANC and the South African Communist Party in exile. James Currey Publishers. p. 106. ^ Brecher, Michael; Wilkenfeld, Jonathan (1997). A study of crisis, Part 443. University of Michigan Press. p. 477. ^ Heitman, Helmoed-R. (1990). War in Angola: the final South African phase. Ashanti Pub. p. 10. ^ Watson, Wendy (2007). Brick by brick: an informal guide to the history of South Africa. New Africa Books. ^ Purkitt, Helen E.; Burgess, Stephen Franklin (2005). South Africa's weapons of mass destruction. Indiana University Press. p. 152. ^ Gale Research (1995). Worldmark Encyclopedia of the Nations: Africa. Gale Research. p. 292. ^ International Peace Academy. (1988). Southern Africa in crisis: regional and international responses. BRILL. p. 62. ^ Truth and Reconciliation Commission (1998). Truth and Reconciliation Commission of South Africa report. The Commission. p. 498. ISBN 978-0-620-23076-6. ^ Fox, William; Fourie, Marius; Van Wyk, Belinda (1998). Police Management in South Africa. Juta and Company Limited. p. 167. ^ Anzovin, Steven (1987). South Africa: apartheid and divestiture. H.W. Wilson Co. p. 80. ISBN 978-0-8242-0749-6. ^ Foster, Don; Davis, Dennis (1987). 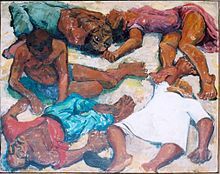 Detention & torture in South Africa: psychological, legal & historical studies. Currey. p. 18. ISBN 978-0-85255-317-6. ^ Pomeroy, William J. (1986). Apartheid, imperialism, and African freedom. International Publishers. p. 226. ISBN 978-0-7178-0640-9. ^ Legum, Colin (1989). Africa contemporary record: annual survey and documents, Volume 20. Africana Pub. Co. p. 668. ^ McKendrick, Brian; Hoffmann, Wilman (1990). People and violence in South Africa. Oxford University Press. p. 62. ^ Blond, Rebecca; Fitzpatrick, Mary (2004). South Africa, Lesotho & Swaziland. Lonely Planet. p. 40. ^ 136.0 136.1 Nigel, Worden, The making of modern South Africa: Conquest, Segregation and Apartheid, 3rd ed. (Oxford: Blackwell Publishing Ltd, 2000) p. 3. ^ Legasick, Martin (1974). "Legislation, Ideology and Economy in Post-1948 South Africa." Journal of South African Studies. 1 (1): 5–35. ^ Giliomee, Hermann. Democratization in South Africa. Political Science Quarterly. 1995. ^ Weymouth Genova, Ann. Oil and Nationalism in Nigeria, 1970—1980. ProQuest. 2007: 123 [11 April 2012]. ISBN 978-0-549-26666-2. Weymouth Genova covers the possibility of Nigerian oil going to South Africa in detail from page 113. Heavily laden tankers have to respect the ocean currents which means they travel clockwise around Africa; oil for South Africa would likely come from the Middle East rather than West Africa. Nigeria had been taking over other oil marketing companies to reduce price differentials across the country; they needed to fill a budget shortfall due to low oil prices and had a history of disputes with BP and the British government so BP assets were seized when Shell's stake in SPDC was not. ^ Weymouth Genova, Ann. Oil and Nationalism in Nigeria, 1970—1980. ProQuest. 2007: 171 [11 April 2012]. ISBN 978-0-549-26666-2. ^ Contreras, Rebecca; Rennebohm, Max. University of Illinois Students Protest for Divestment from Divestment from South Africa , 1985–1987. Global Nonviolent Action Database. Swarthmore College. 2 June 2011 [25 April 2013]. ^ Knox, Colin; Quirk, Pádraic (2000). Peace building in Northern Ireland, Israel and South Africa: transition, transformation and reconciliation. Palgrave Macmillan. p. 151. ^ Taylor & Francis Group (2004). Europa World Year Book 2, Book 2. Taylor & Francis. p. 3841. ^ Taylor, Paul (23 December 1993). "S. Africa Approves Charter; White-Led Parliament Votes for Constitution Canceling Its Powers." The Washington Post. ^ Wople, Harold (1990). Race, class & the apartheid state. Africa World Press. p. 93. ISBN 978-0-86543-142-3. ^ Marais, D. (1989). South Africa: constitutional development, a multi-disciplinary approach. Southern Book Publishers. p. 258. ISBN 978-1-86812-159-5. ^ Lötter, Hennie P. P. (1997). Injustice, violence and peace: the case of South Africa. Rodopi. p. 49. ISBN 978-90-420-0264-7. ^ "Cops fight crowds at S. Africa elections." Philadelphia Daily News. 28 August 1984. ^ South Africa: Adapt or Die. Time. ^ Roherty, James Michael (1992). State security in South Africa: civil-military relations under P.W. Botha. M.E. Sharpe. p. 23. ISBN 978-0-87332-877-7. ^ Macleod, Scott. Enemies: Black vs. Black vs. White. Time. 7 July 1992. ^ Kemp, Arthur (2008). Victory Or Violence – The Story of the Awb of South Africa. Lulu.com. pp. 165–166. ISBN 978-1-4092-0187-8. ^ The Nobel Peace Prize 1993. Nobel Foundation. [27 April 2007]. （原始内容存档于3 May 2007）. ^ Truth and Reconciliation Commission. New cut-off date opens amnesty doors for pre-election bombers. South African Department of Justice and Constitutional Development. [13 July 2008]. ^ Deegan, Heather (2001). The politics of the new South Africa: apartheid and after. Pearson Education. p. 194. ISBN 978-0-582-38227-5. ^ Jeffery, A. People's War: New Light on the Struggle for South Africa. Jonathan Ball. ^ Elections '94. Independent Electoral Commission (IEC). [13 July 2008]. （原始内容存档于28 June 2008）. ^ Lijphart, Arend. Spotlight Three: South Africa's 1994 Elections. FairVote. [13 July 2008]. ^ De Klerk apologises again for apartheid. South African Press Association. 14 May 1997. ^ Meldrum, Andrew (11 April 2005). Apartheid party bows out with apology. The Guardian. ^ Macharia, James (11 April 2005). South Africa apartheid party votes to dissolve. Boston Globe. ^ Volume Five Chapter Six – Findings and Conclusions. Report of the Truth and Reconciliation Commission. Hazlett, Thomas W. Apartheid. The Concise Encyclopedia of Economics 2nd. Library of Economics and Liberty. 2008. ISBN 978-0865976658. OCLC 237794267.